Home :: Catholic Talks on CD & DVD :: Audio Cassette - The Suffering of Mother Mariana de Jesus Torres - by Marian T. Horvat, Ph.D. This talk describes the four imprisonments of Mother Mariana de Jesus Torres by the rebellious sisters in the Conceptionist Convent in Quito (Ecuador) who wanted to relax the rule. 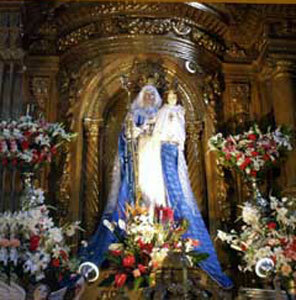 Finally, Our Lady intervened with a miracle to punish the inobservant sisters and re-install Mother Mariana as Abbess. A marvelous story with much significance for us now. Part of the Our Lady of Good Success series. 60 min.